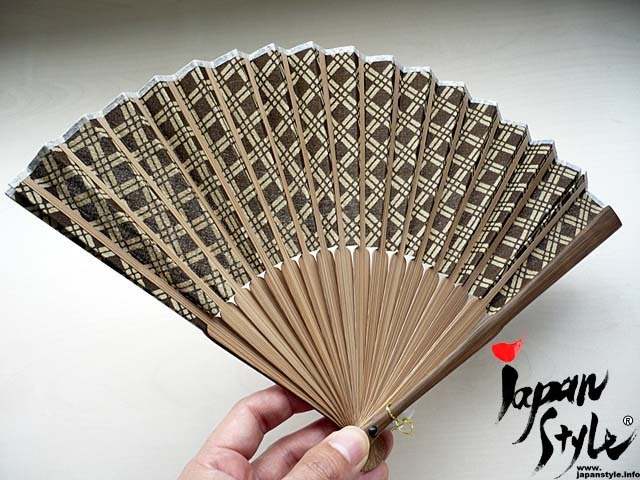 I assume readers of my blog are generally interested in Japanese tradition and culture, but do you know ‘sensu’ or Japanese ’hand-held fan’? I can almost hear you saying ‘what? Of course, I do!’ Lol. But I wonder how many of you actually have one?? 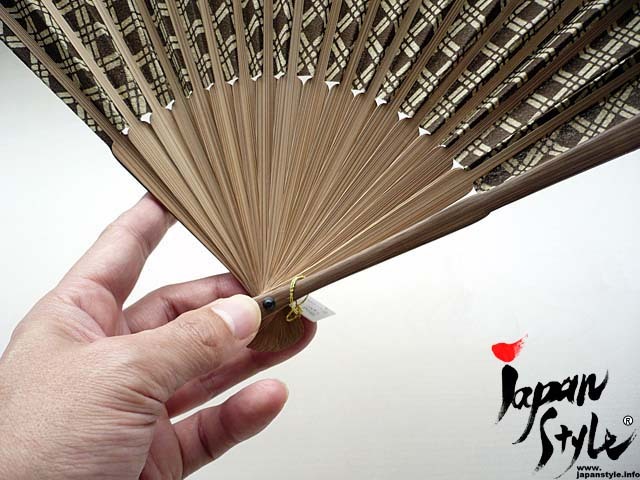 The folding fan is designed to be used as a fan to make you feel cooler on a hot day, so you can see that they are widely used from spring to summer in Japan. And spring to summer is the period you will find a great variety of sensu available in the market. However, it is not only a cooling tool in the hot seasons, but it can also be used as a room decoration: if you decorate the item without folding, it immediately brings Japanese taste into your room! So if you are wondering how you could change atmosphere of your room, I definitely recommend you to have one of these fans as an ‘interior decoration’. Anyway, let me explain features of this sensu. The “Choshi Chijimi” has been produced as home manufacturing basis that women and children of fishermen pray for peace and plentiful catch of fish in Edo era. Its softness and robustness have been prized. The pattern of the both side of usual paper fans are the same because the papers such as Japanese papers are pasted on it. 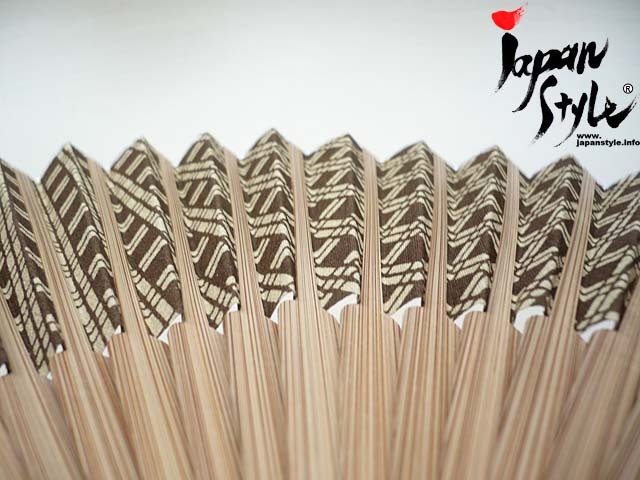 However, for this fan, each side is different because the Choshi Chijimi cloth is put on it. Each single fan is handmade because the mass production with machines is not possible. 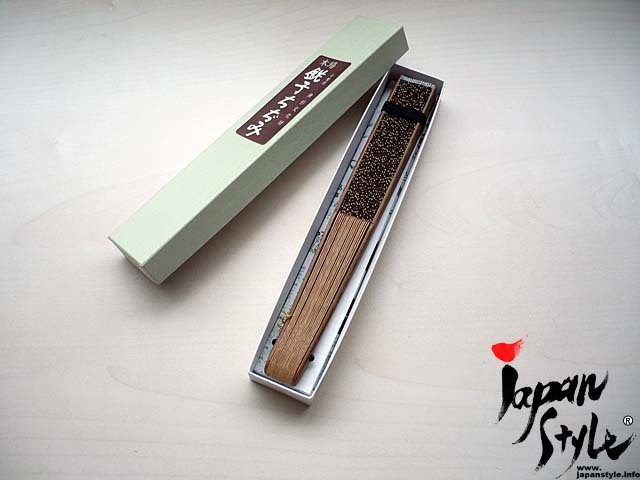 This sensu is available from our ebay store. It is best suited for personal treat as well as present for your loved ones. Please check price and details from the link below. I hope you will enjoy having this products!